Offered in the London suburb of Stanmore, these high quality offices deliver contemporary corporate style accommodation to a range of organisations and individuals. Offices are available on business friendly flexible terms that don't tie you to a certain package should circumstances change. Stanmore is well placed for travel to the city and the centre is less than half a mile from Canon's Park Tube for the Jubilee Line. The M1 is also within convenient reach. With office spaces ranging from 111 to 2,500 sq. ft. this thriving business centre provides a great range of small cellular spaces and large open plan spaces ideal for a wide variety of businesses. Conveniently located just south of Canons Park tube station this location is ideal for travel into central London via the Jubilee Line. The space offers secure parking, an on-site management team and 24-hour access. 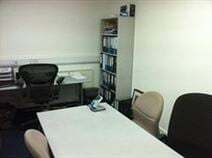 These offices are conveniently located in Parr Road Stanmore, just a 5-minute drive from junction 4 of the M1. The centre offers newly refurbished modern office space, along with allocated parking, mail collection and reception services. 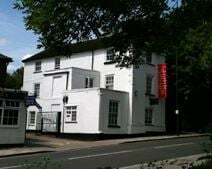 Within easy walking distance of Stanmore Station this Georgian building retains its original features and individual quirkiness while a recent refurbishment mean that the office space inside is of a high technical standard.